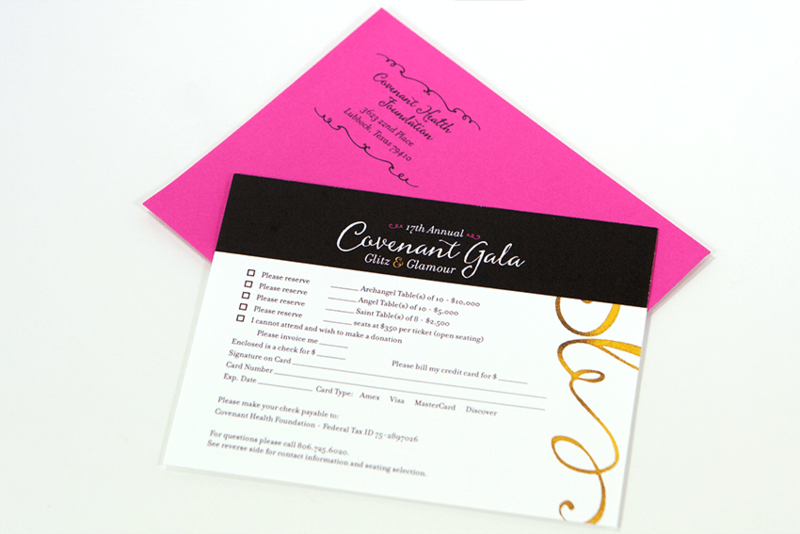 Aycock Mediaworks produced invitation and print design for the 17th Annual Covenant Health Foundation Gala. 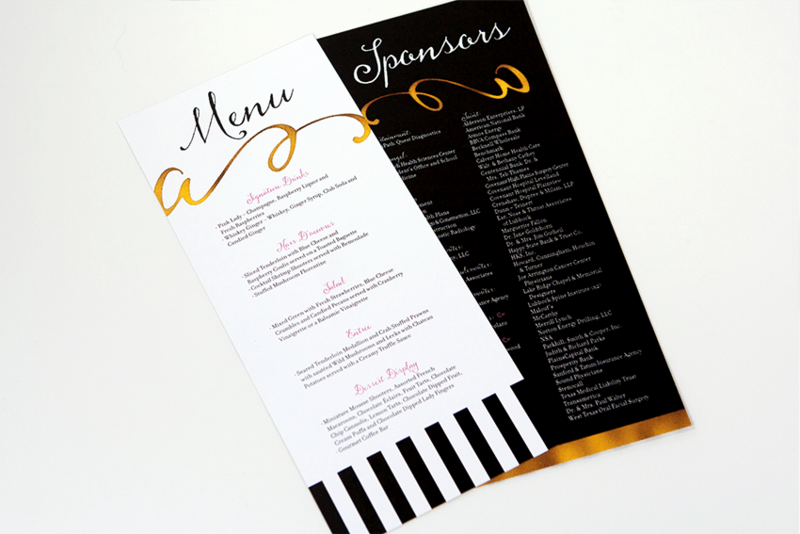 This event helps raise funds for the Foundation’s charity throughout the year. 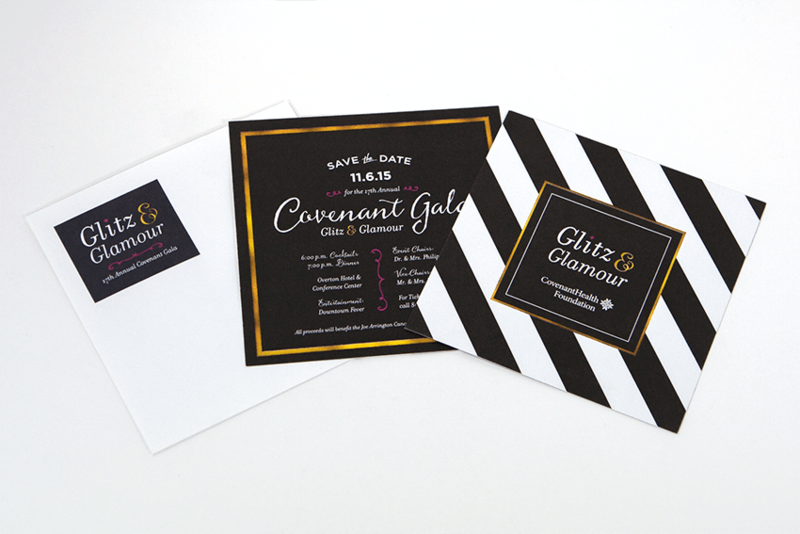 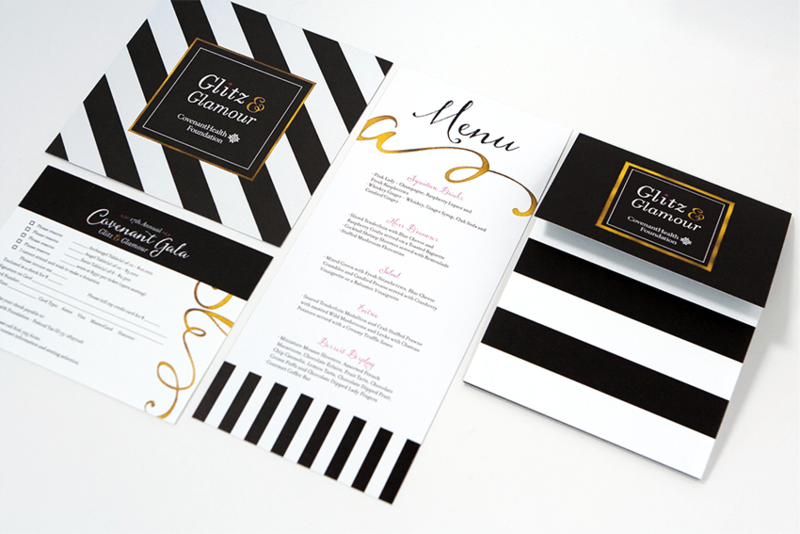 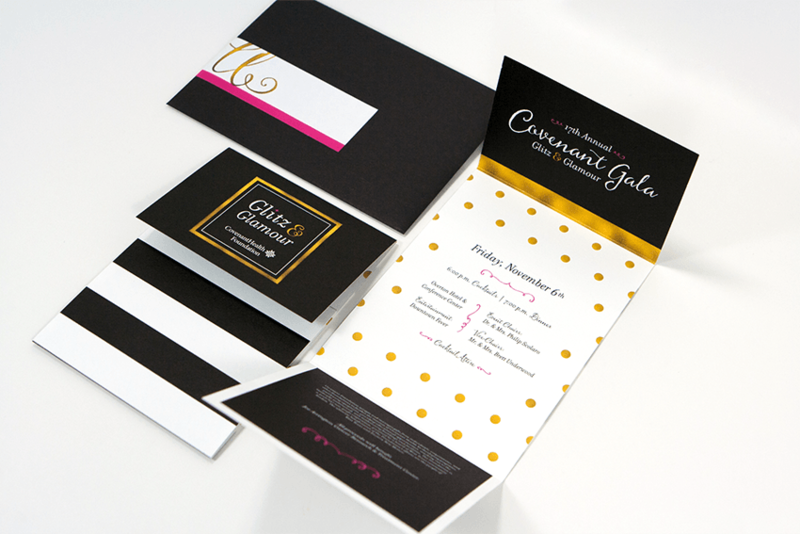 Aycock Mediaworks built this design around black and white stripe patterns and interlaced the collateral pieces with hints of gold and light accents of pink to create a visual look of sophistication for the Gala.